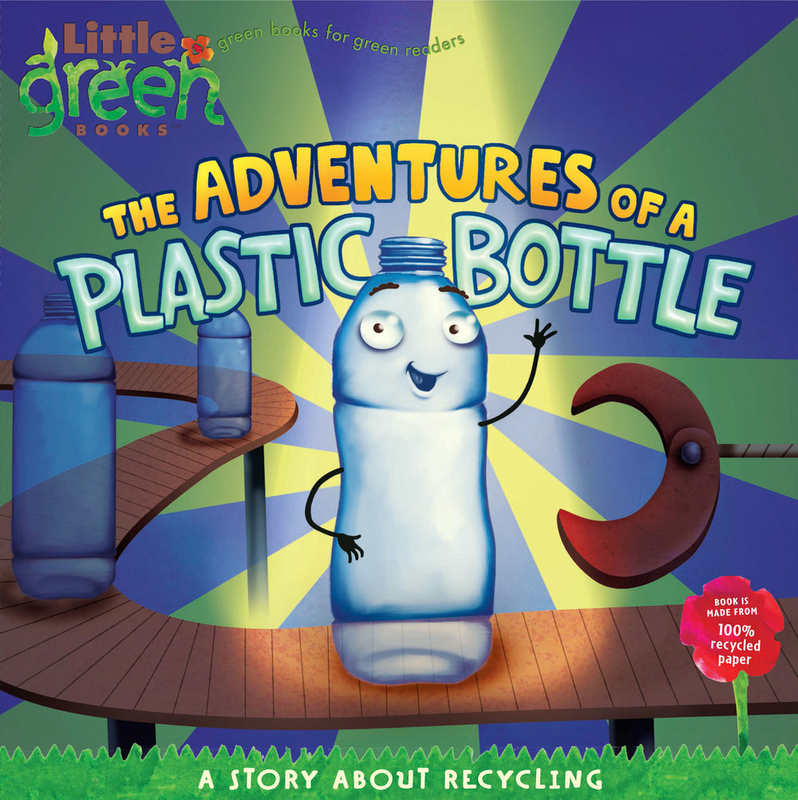 Follow the adventures of a plastic bottle in this book for elementary aged students. Readers learn about the lifecycle of a product that they frequently use. Plastic bottles are so abundant and easy to find that we end up taking them for granted most of the time. Perhaps you’ve never wondered what adventures your water bottle had been on long before it reached your hands. In the book, the story begins deep under the ocean in a thick, oozing blob of crude oil that’s been there for thousands of years. All seven types of plastic commonly used to manufacture new products begin as crude oil that is collected then sent to an oil refinery. The process can refine crude oil into fuel, oil, gas, and other types of products – including the plastic pellets used to make plastic bottles. Those pellets are then shipped to manufacturers that heat up the pellets and mold them into the shape of a bottle. Depending on the facility, the bottles are then sent to a bottling company which sanitizes, labels, and fills the bottles with water. The new plastic water bottles are then shipped to stores where the product is sold to consumers. Shipping may involve traveling over hundreds of miles by air or tractor trailer. Once at the store the product is unloaded by workers who restock shelves. All of that happens behind the scenes! Finally, a customer buys the water bottle, consumes the water, and hopefully recycles it so it can be remade into a new product. If the plastic bottle goes in the trash, it’s a very sad moment because the bottle will be buried and lost with no hope to be used again in the future. All of that time, effort – crude oil extraction, refinement, transportation – is lost after just one use. Plastic water bottles that are recycled can be remanufactured into new things, like fleece for ski jackets or sleeping bags, yarn for carpet, toys, clothing, furniture, and more. Talk about an adventure-filled life! According to the book “Make Garbage Great: The Terracycle Family Guide to a Zero-Waste Lifestyle” by Tom Szaky and Albe Zakes, about 802,000 tons of #1 plastic bottles (such as those for water and soda) were recycled in the U.S. in 2011. But, during that same year more than twice that amount, about 1.9 million tons, were thrown out. This amount doesn’t include the other types of plastic, like #2 for milk and laundry detergent jugs. Plainly stated, out of all the bottles and jugs being manufactured, the vast majority are not making it to the recycling bin. This is a shame when you consider that a 60-watt lightbulb could be powered for six hours with the energy saved by recycling on plastic milk jug. And considering that four pounds of petroleum are required to make two pounds of plastic #2 for milk jugs – not recycling the jug is like throwing oil down the drain and wasting it. To reduce that number of things you’re wasting you may decide to switch from single-use disposable products to reusable products. Replacing a disposable water bottle with a reusable one that you can refill could save the equivalent of 1,500 water bottles per person per year. Replacing a disposable fork in your lunch box with a reusable stainless steel version can save over 250 forks from going to the landfill. Next time you use a plastic water bottle, or any other product, take a moment to think about where it came from. Taking a step back will help determine how you use and dispose of the product. What was the raw material? How was it extracted? Was it refined, transported, manufactured, transported, stocked? How much energy and water did it take to manufacture? What adventures did this product experience before it got to me?